At Bosak, we’re also sympathetic to the fact that scheduling routine maintenance for your vehicle can sometimes be a chore to fit into your schedule. That’s why we offer an online service scheduler so you fit us into your schedule – instead of the other way around. It’s just one of the ways the Bosak team goes the extra mile to insure you’re automotive service experience is a good one. Questions about a repair or customization? 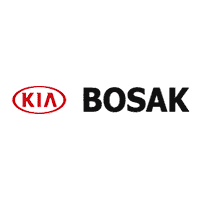 Contact us today or schedule an appointment online to learn why so many drivers across northwestern Indiana trust Bosak with all their automotive needs.